The 2013 NSRA Quality Aircraft Care Sand Drag Racing Series kicks off this weekend at Dome Valley Raceway with the 4th Annual Top Fuel Shootout. Details for the series have been released and are available to view on the “NSRA Point Series” link on the left sidebar of this site, or click this link, 2013 NSRA Point Series. The 2013 NSRA Quality Aircraft Care Sand Drag Series has announced its race schedule for the upcoming season. The series will consist of six events across the Southwest. The champion in each category will be crowned based upon their best five finishes from the season. Tracks included in the 2013 series are Dome Valley Raceway (Wellton, AZ), Southern California Sand Drag Association/Soboba Casino (San Jacinto, CA), Avenal Sand Drags (Avenal, CA) and one yet to be named track that will host the Season Finale. Stay tuned for further announcements regarding the 2013 NSRA point series. The 2012 NSRA Quality Aircraft Care Sand Drag Series awards will be distributed on Saturday night after the racing is completed at the upcoming Dome Valley Raceway Top Fuel Shootout on January 26. The NSRA series would like to thank the following sponsors for the 2012 series; Quality Aircraft Care, Keith & Carolyn Ahart (Ahart Properties), Charlie Johnson, Wes Johnson, Morris Family Racing, Clayton Record, and CANIDAE. 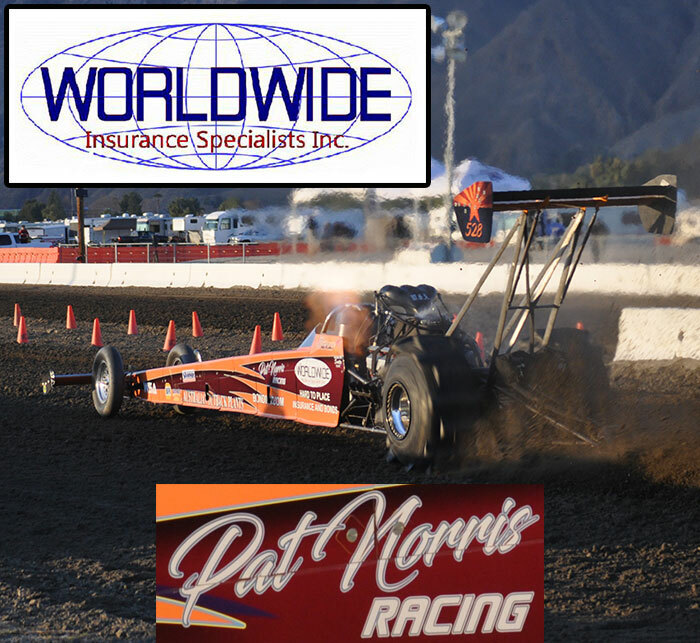 Dome Valley Raceway’s Top Fuel Shootout event will be the first race of the 2013 NSRA Quality Aircraft Care Sand Drag Racing Series. Full details on the 2013 series are being finalized and will be released very soon. Check out the 2012 Championship Showcase features. They are posted here on the main page for the next week or so, then you will be able to find them in the left Sidebar in their own section after that. Another way to keep up with the latest happenings is to subscribe to NSDN’s Twitter feed that we post updates from Daily Race Coverage events on at www.twitter.com/NSDN, or visit the official NSDN Facebook page at www.facebook.com/NationalSandDragNews. The 2013 sand drag racing season is right around the corner with our first race coming up on January 25-27 at Dome Valley Raceway in Wellton, AZ. Stay tuned for all the latest to right here on NSDN. EVENT ALERT!!! This event is coming up this weekend. Be sure to check out the LVJC Jamboree at the Dumont Dunes!!! The Las Vegas Jeep Club is holding their 41st Annual Jamboree at the Dumont Dunes over President’s Day Weekend February 15-17. 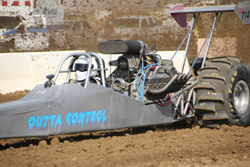 This unique event features tech on Friday with a Hill Climb competition on Saturday and the Sand Drags on Sunday. For more info, call Shawn at 702-395-4131, or click Read More to view the event flyer. Here is one last look back at the 2012 sand drag racing season with a condensed version of the Best Runs feature. Since NSDN has the data from most major events across the country; we are compiling the quickest ET’s in the Top Fuel, Top Alcohol, Fast Fours, and Pro Outlaw FE classes as well as the closest to the Index runs in Top Eliminator. The data used is from events that NSDN either attended or data was submitted to us. Let’s take a look at the top performers from 2012.